Rajasthan Subordinate and Ministerial Service Selection Board Recruitment Notification 2018.RSMSSB inviting applications for the positions of Primary Education Teacher.Interested and Eligible candidates can apply for the positions. Last date for Submission of Application is October 28th, 2018.. Secondary education board qualification applicants having knowledge of Hindi written in devanagari script and knowledge of Rajasthan’ s culture can apply. Between 18 to 40-year candidates can apply for RSMSSB recruitment. In the pay matrix level 5 contenders will get monthly pay for PET. 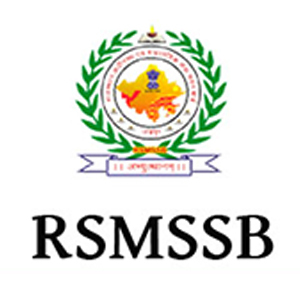 Through examination candidates will be selected for RSMSSB recruitment. Mode of applying for RSMSSB recruitment is through online. The online portal link will be active from 29th September 2018 to 28th October 2018.
https://sso.rajasthan.gov.in/register is the link to register and https://sso.rajasthan.gov.in/signin is the link to log in for applicants directly.